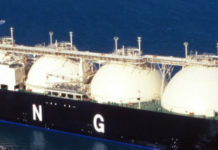 Home LNG Trade Is Gas Global Yet? Is gas a global commodity, like oil? The question comes up often, and the answer is usually “not yet.” But the changes in today’s market seem profound and transformational. 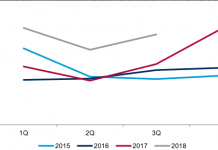 The liquefied natural gas (LNG) trade is expanding rapidly, connecting hitherto disparate markets. 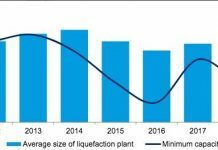 There is a growing market for buying and selling LNG on a short-term basis, resulting in more flexibility and liquidity. The barriers to entry have fallen, leading more countries to import LNG. And gas prices are set increasingly on their own terms, weakening a historical link to oil that stretches back decades. By most measures, gas is more global than ever before and is becoming more so daily. But it is too soon to call it a global commodity. The market is being transformed, but the transition toward a global market is slow, uneven, and irregular. And until more profound changes take place in Asia, a global market will remain beyond our reach. What Is a Global Market? In a global market, shocks reverberate globally. 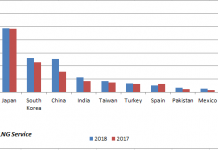 Rising gas production in the United States should lower prices in the United States as well as in Japan; a cold snap in the United Kingdom should lift prices in Argentina and Thailand; a drought in Brazil should make it more expensive for India and Poland to buy gas. This is how the oil market works: a strike in Venezuela; an attack in Libya or Nigeria; sanctions against Iran; a surge in oil production in America—all these events affect prices globally, even though their precise impacts might vary from one place to another. But gas is not oil. Oil is a global commodity; gas is still dominated by regional and local forces. Only 30 percent of the gas consumed in the world crosses a border; the equivalent for oil is over 70 percent. The oil market is flexible and nimble; the gas market is rigid, relying on costly infrastructure and often traded via long-term contracts. The price of oil is the same around the world, plus or minus transport costs and differentials to account for differences in quality. Gas prices, by contrast, are all over the place: they vary between and within regions, and they even vary within countries (by supplier). And while oil prices tend to move together, gas prices do not: one price might be rising, another falling. Oil prices moving in opposite directions is a rare exception; in gas, it is the norm. Why is that? First, it is more expensive to transport gas than it is to transport oil, especially over long distances and even more so when gas needs to be cooled to become LNG. So fewer countries import and export gas (and rarely both). 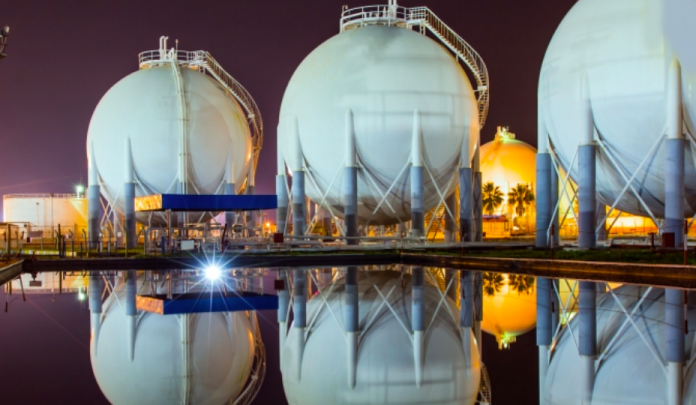 Second, gas has traditionally been traded through long-term contracts with a fixed source and destination—meaning, less gas can flow to markets in need. And third, gas prices have historically been tied to oil, in effect reflecting the scarcity of oil, not gas, and hence not communicating meaningful signals for trade or investment. In that market, it is difficult for shocks to reverberate globally. Yet the market is changing. Exporting LNG remains capital intensive, but importing LNG has become simpler and cheaper, largely due to vessels that can turn LNG into gas (floating storage and regasification units, or FSRUs). These are easier to permit and require less upfront capital. In 2006, there were 17 countries that imported LNG; the number now is 39 and growing, in part driven by FSRUs. Moreover, single pipelines have gradually created regional networks, which have brought countries together. Gas is still expensive to move, but more countries have the infrastructure to do it. Long-term contracts are still important, especially for new LNG projects. But in recent years, there has been a move to short-term contracts. On its own, this move means little, at least in measuring liquidity. What matters is flexibility. Consider an example: a buyer with 20-year contract might be reselling that LNG on the spot market. That LNG is flexible and can respond to shocks. Now imagine that this volume is then resold on a short-term basis—say a five-year contract. In that case, the volume disappears from the spot market. It is likely not available for resale. So short-term contracts do not necessarily enhance liquidity; they might even diminish it. It all depends on where the gas is coming from and what was happening to that gas previously. The same is true for destination flexibility. Destination flexibility, the right to reroute LNG, has been the contractual norm in the Atlantic Basin for two decades now, and it applies to much of the LNG being sold from the Middle East (though not all). And there is more LNG with destination flexibility coming from the United States. But contractual flexibility merely gives a buyer the option to redirect LNG cargoes. It does not mean cargoes will actually be diverted. And flexibility is not fixed. In recent years, the market lost a lot of destination-flexible LNG as output from certain countries fell (e.g., Egypt, Yemen, Trinidad). The net amount matters, not the gross one. In fact, the short-term and spot market for LNG grew in the early 2010s but then plateaued at less than 30 percent of the total (data to 2016; we do not have open-source data for 2017 yet). Moreover, this number includes both short-term contracts (less than four or five years) as well as spot transactions, so it is not a perfect indicator of how much LNG is immediately available to respond to shocks. And even after this growth, short-term LNG amounts to less than 10 percent of the total gas trade and less than 3 percent of the total gas consumed in the world. Can this small volume—even if it grows—help fuse a global market for gas? It all depends on pricing. Historically, prices for internationally traded gas outside North America were largely indexed to oil. But the formulas that link oil and gas together vary, so the same oil price produces different gas prices in different contracts. In that market, it is impossible to have a common price or a common price response to shocks. At best, gas prices could be similarly responsive to oil shocks. In the past decade, this pricing system has evolved. In 2016, about 45 percent of the world’s gas was priced based on market principles and without a reference to oil (in industry parlance, gas-on-gas competition). That’s up from 31 percent in 2005. But for internationally traded gas, oil indexation still accounts for 49 percent of volumes traded, down from 63 percent in 2005. Mostly, the shift happened in Europe, where prices have delinked from oil, although not fully or uniformly. In Asia, oil indexation still reigns. Even today, Japan’s import price for LNG closely tracks the price of oil. The market, in other words, remains a patchwork of different prices and different pricing regimes. In most countries, gas prices reflect a multiplicity of regimes and show considerable variation. In December 2017, for instance, Japan paid 30 percent more for LNG from Nigeria than from Qatar. In Korea, the range from cheapest to most expensive was 40 percent. These spreads are common across most major markets, and they belie the existence of a truly global market. There is also no evidence that prices are any more correlated today than in the past. In the second half of 2017, gas prices in the United Kingdom rose by 70 percent, but declined by 7 percent in the United States and 2 percent in Japan. Nor was there uniformity within regions. In Germany, the border price rose by 19 percent in the same period, but in France it declined by 6 percent, and Norway’s export price rose by 28 percent. Canada’s export price rose by 18 percent as Henry Hub fell. In Asia, the import price into Thailand rose by 13 percent while Japan’s fell. Prices are moving in different directions and by different magnitudes—and more so than they have in the past. In other words, we have a more global market if we look merely at physical indicators—how much gas is transported as LNG; how many countries import and export gas; how complex the trade links are; how much LNG is traded outside long-term contracts. But there is no global market if we look at prices—whether they are moving in tandem; whether shocks reverberate globally. In fact, in 2017, prices showed some of the least amount of correlation in almost two decades. This is not a global market. 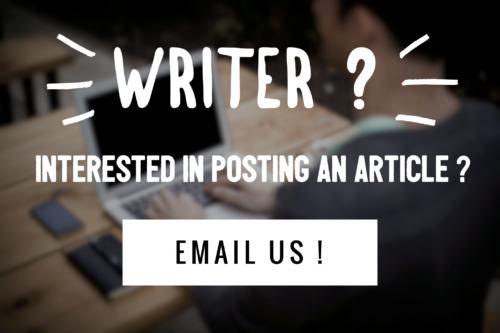 To see the end of the article please visit the original posting of the article by Nikos Tsafos on the ICIS website (unlocked access).